Who doesn't love an outfit that represents the best of both worlds? This one in particular was such a fun mix of vintage and modern. I picked up this coat last week from Zara and have probably worn it every day since. The colour, the texture and the shape are just so perfect for the single digit temperatures we've been having in Toronto. Hope you've been able to find a stylish way to stay warm! I love this look! 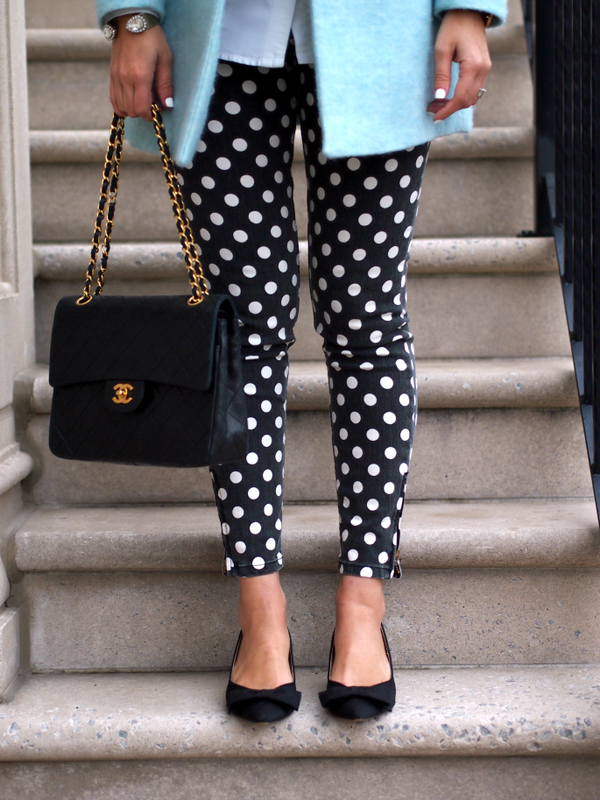 Those pants pair so well with the powder blue coat! I love it! What a fabulous coat! It pairs so well with the polka dot pants. 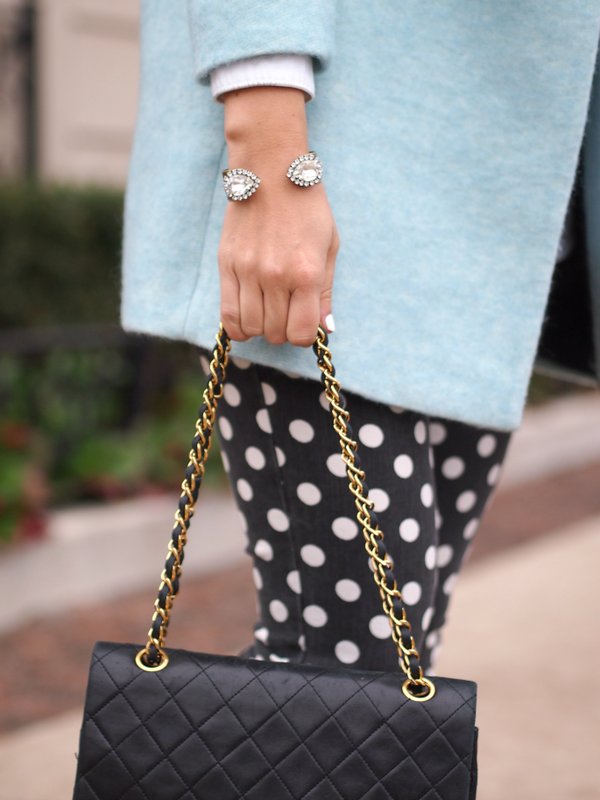 Love this blue coat and that necklace is adorable! Great look! Very classy outfit! Your coat is simply perfect and that bag is on my Christmas wish list! Love the pants, the jacket and all the lauren hope accessories!! Single digits?? Guess I can't complain about temps dropping into the 40s. Ha! Cute outfit!! The pants! The coat! The necklace! I love it all!!!! You look stunning and I agree about the weather. I'm from the east coast and we've dropped into the negatives!! I have a similar coat, and I swear I wear it waaaayyyy too often! It's a beautiful color on you. I also love how your paired such a bold coat with the bold print of the pants. Awesome! This outfit is one of my favourites. I love the blue and polka dots! It's so fun and chic. You are seriously the cutest! Retro and modern at the same time! Cuuuute! your coat is just gorgeous! You look gorgeous as usual, and beautiful vintage look. Love the coat.